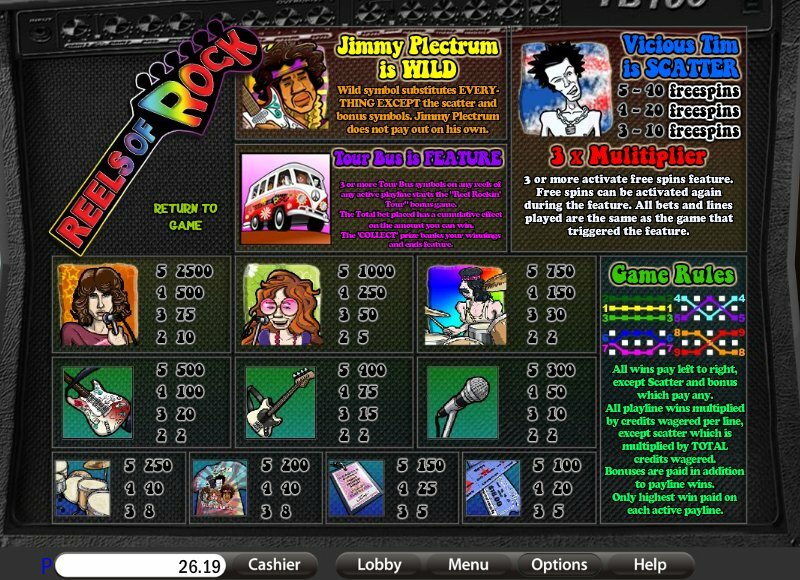 Overview: Ever wanted to meet some real Rock Legends? Now's your chance and you can be right in on the action, dude! WIN UP TO 12,500 COINS! 9 LINES, UP TO 40 FREE SPINS, WILD! 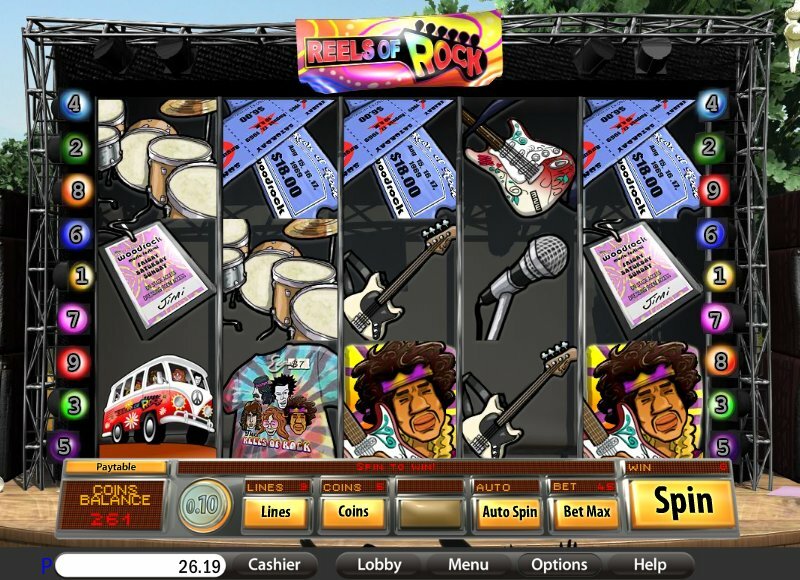 Similar Slots: If you like Reels of Rock, you might like these other slot machines from Saucify: Dream Wheel, Fistful of Dollars, Horn of Plenty, Legends of Olympia, Perfect Date, Tomahawk.